Hanberry Fitzwilliam is a reputed firm that specialises in corporate finance and tax advisory work. It provides high net worth individuals with the kinds of private client solutions that are normally only accessible to people of ultra-high net worth. Our brief was to design and build a brand new website that conveyed an appropriate sense of gravitas for the niche audience that Hanberry Fitzwilliam wanted to target. There were three key strands to the project: ensuring the visual design was on target, delivering content that matched the needs of clients, and effectively deploying media such as music. We also worked with the client to clarity what users would need to find on the website. Alongside the visual design, expert copywriters produced content that included the important identified keywords and calls to action. The client then adjusted the content to match their needs more closely. While we felt certain that media such as music would enhance the website user experience, we were also keen to avoid the technical issues that music and animations can cause for some website visitors. To counteract this, we deployed Ajax across the website, ensuring that the user’s browser won’t have to refresh the website to load new pages. This allows the music to keep playing at all times. However, the user has complete control over this, and can choose to turn the music off at any time. 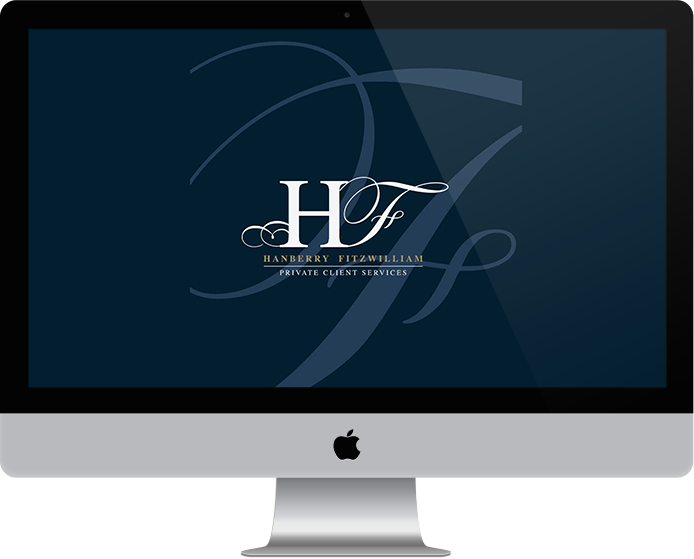 Hanberry Fitzwilliam’s new website is feature-rich and sets exactly the right tone for attracting high net worth clients. Ajax deployed throughout the site.